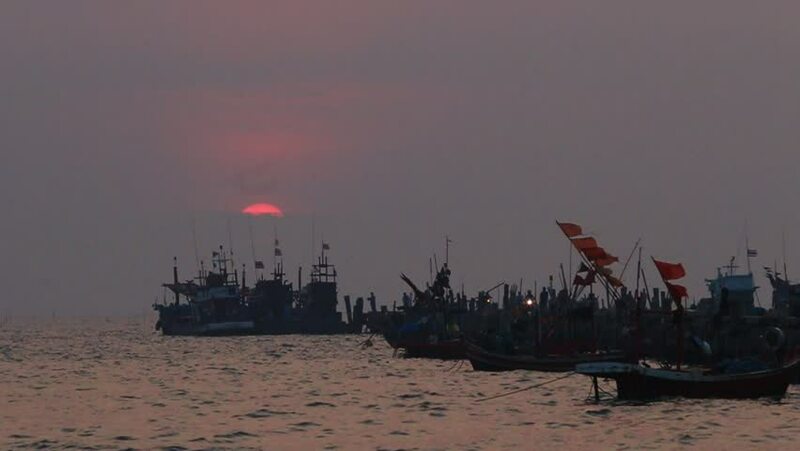 The pier of fishing boats in Thailand, at sunset . hd00:51The pier of fishing boats in Thailand,at sunset . hd00:11Veranasi, India - Circa November 2008: Ghats along Ganges as pilgrims begin to arrive for boat trips. 4k00:25Bali, Indonesia - Circa September, 2016: View of Pura Tanah Lot temple with hindu pilgrims walking by carrying offerings to the gods in Tabanan, Bali, Indonesia.